Hair is something that all women are conscious about. They try all kinds of stuff to get beautiful and lustrous locks. Well, you do not need to work too hard for that. Just follow these simple tricks to make your hair healthy and beautiful at the same time. A good and complete diet is necessary for keeping your hair healthy and beautiful. Your body needs all essential nutrients and also enough sleep. When you buy a shampoo, make sure it is made specifically for your hair type. There are a number of different shampoos available that are designed for the different types of hair. As such, select and buy carefully. Moreover, the shampoo should also be mild and gentle. It should offer the necessary moisture and not make your hair too dry or brittle. It must have hair softening properties as well. When you comb your hair, make sure you use wide paneled brushes. This saves your hair from breakage. If the teeth are not wide enough, it tends to break your hair at places where there are knots or tangles. Wide toothed comb helps untangle your hair faster and easier without applying too much pressure. Get a brush with soft bristles to be gentle on your hair. Do you have Oily Hair? Here is a tip for people who have oily hair. Use diluted lemon juice or apple cider vinegar to rinse your hair. Use it as the final rinse after you wash your hair. This helps in getting rid of the grease and oil accumulated on your hair and scalp. It also makes your hair shiny and fresh. Each time you wash your hair, do not forget to condition it well. You need a good conditioner for this purpose. It is something you must not miss. Conditioner is necessary for soothing your hair. It protects the strands from breakage, damage, and dryness. Moreover, conditioner also does the job of adding luster and shine to your hair. It maintains your hair and gets rid of all the tangles. You must select a good conditioner based on your hair type. Moreover, make sure you use a shampoo and conditioner of the same line. As such, they will complement each other and help protect and maintain your hair. Make it a practice to give your hair a good massage on a daily basis. Massaging your hair helps improve the circulation of blood on your scalp, which is necessary for stimulating your hair follicles and helping in the growth of hair. Moreover, it also helps get rid of the dead skin cells on your scalp. This prevents dandruff and accumulation of dirt, too. As such, it helps in promoting hair growth. Wash your hair using the correct techniques only. First of all, you need to wet your hair thoroughly. Make sure every part of your hair and scalp gets wet. After that, take your shampoo. You must never use the shampoo directly on your hair. You must dilute a small amount of it in a cup of water and then apply on your hair and scalp. Work it well on your hair till it forms lather. The lather cleans up your hair and scalp. You must always shampoo gently. Never use your nails, use only your fingers to work the shampoo on your hair. Going for a Swim or workout? People who go for swimming or to the gym on a daily basis must wash their hair daily. Using a gentle moisturizing shampoo and following up with a good conditioner helps in replenishing all the natural oils that get lost while swimming or working out. Use good and simple hair masks to protect your hair and give it the required nourishment. This helps in preventing dull and dry hair, and gives your life a healthy feeling. How often to wash your Hair? Make sure you wash your hair after every three days. A lot of dirt and grease can accumulate in your hair on a daily basis. To get rid of this, and also the oils and grease, you need to keep your hair clean. For this, it is necessary to wash your hair well. Make sure you do not wash your hair more than necessary. Over washing has got its own harmful effects. Your hair tends to be more dry and frizzy. This leads to the secretion of excess oils and sebum. As such, your hair becomes greasier if you wash it too much. Whenever you go out in the sun, be sure to cover your hair. Exposing your hair to the sun can cause high levels of damage. It dries off your hair, and makes it lifeless and dull. 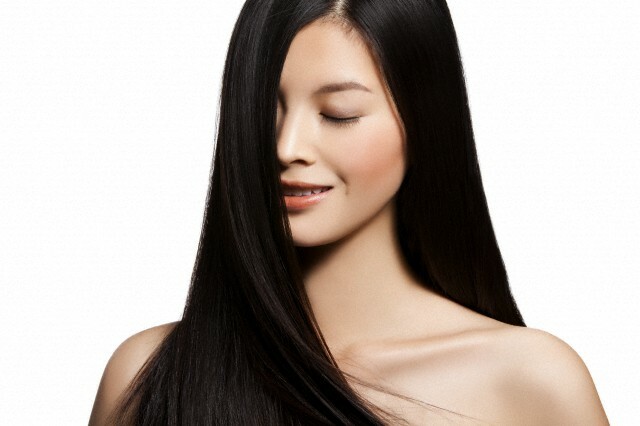 Give your hair a good hot oil massage on a weekly basis. This helps your hair by restoring the oil that gets lost by washing and exposure. Take some oil like coconut oil, olive oil, or almond oil as a base oil and add some essential oils to it. Slightly heat the moisture to make it warm and then massage well in to your scalp. Use your fingertips to massage using a circular motion. People who have thick and heavy hair must use coconut oil preferably. Let the oil stay on your hair for at least 2 hours, and then wash off. Your hair is saved from breakage and other kinds of damage. Besides these tips, there are a few things you must never do. You must never comb your hair when it is wet. This causes hair to break off, and makes it frizzy. Never use soap for washing your hair. Get a good quality shampoo for this purpose. Do not use too much shampoo, as that will strip off the natural oils from your hair and scalp. If you have oily hair, use only a small amount of conditioner. Never use a hair dryer. Drying your hair naturally is the best practice. When you buy a shampoo, make sure it contains conditioner also. Get a separate moisturizing conditioner to keep your hair well hydrated. Do not comb or brush your hair unnecessarily or be too harsh on it. Also, avoid over exposure to the sun or wind. How Important is Protein for Hair Growth?